Stone Cold Steve Austin has had great rivalries over the years and most of them came in WWE. His WCW days were great and featured a great rivalry but today we look back at his top 5 rivalries, all from WWE. Let's get right into it. 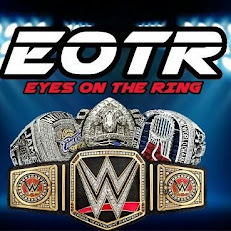 -This rivalry turned out to be a bit underwhelming in some aspects, but it was entertaining. Their matches against each other were fun to watch, including their great Summerslam 1998 match and the build up to it, and I also enjoyed them going at it during 1997 briefly. 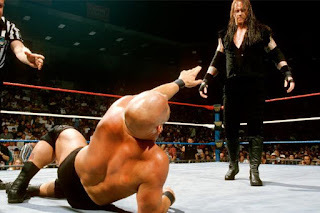 Taker and Austin had pretty good chemistry, and during the Attitude Era, they would have a long standing feud that resulted in title changes and interesting storylines. -This feud could be no. 1 on any other list, but unfortunately, this one does not crack the top 3. It was still a great feud and rivalry overall, as Austin and HHH went at it for years, culminating in a classic Three Stages of Hell match at No Way Out 2001. In some ways, this rivalry was the launching pad for HHH as a singles star and helped shape him as a main event star. A classic rivalry. -Normally, you'd think this would be no. 1 right? Wrong. This feud being in the top 3 is based only on what it did for the business and not the actual feud itself. It lasted long, but had tons of cringe worthy moments like the Vince being revealed as the secret power behind the Corporate Ministry, though it led to a hilarious moment with Vince going "it was me, Austin, it was me all along", and subsequently Austin would face guys like Dude Love, Kane, and others all due to a rivalry with Vince. However, while this rivalry was electric, it pales in comparison to his the top 2 in terms of greatness and of course match wise. -Austin vs Bret is honestly one of the all time best rivalries without a doubt. I think it is Bret's rivalry and it brought out the best in him easily. Austin went to a place he hadn't before and Bret was the guy to push him to a higher plateau making this the most vital rivalry in the growth of Austin as a star. 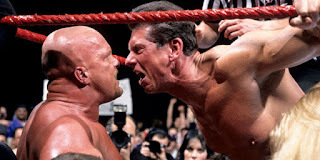 Survivor Series 1996 and Wrestlemania 13 are both classic matches and tons of great promos and other matches came as a result of the feud. Legendary. -The greatest rivalry in Wrestling history. Hands down. 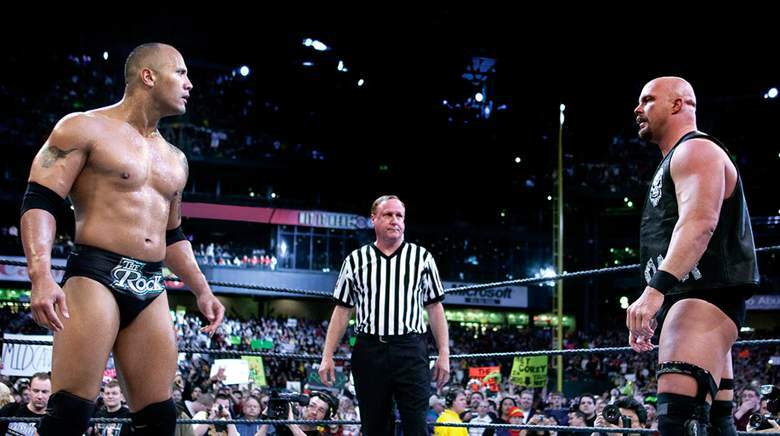 Austin and Rock were both at the top of their game when they fought each other and even beyond their 3 Wrestlemania main events, every time they were in the same ring it was magic. There was always that extra intangible that went on with Austin and Rock pushing it to the highest level we've ever seen in a rivalry. Wrestlemania 15 was great and so was Wrestlemania 19, but I still believe the greatest main event in Mania history remains Wrestlemania 17 with Austin and Rock. They are the two biggest stars in wrestling history and this rivalry is right where it belongs at no. 1. It is once again the greatest rivalry in pro wrestling history. 100% disagree with #1. 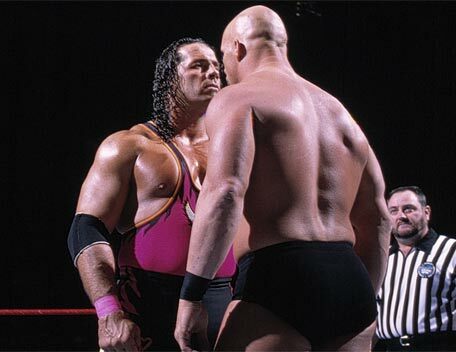 The Hart rivalry was way better (subjective opinion) and far more intense (objectively, if you disagree watch the Pillman angle) than anything the Rock and SC did. 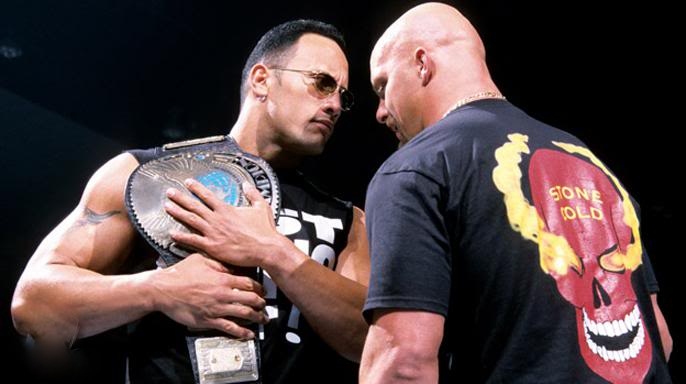 The Rock is just Austin's most popular rival.